Inhibition of α-glucosidase and pancreatic α-amylase is one of the therapeutic approaches for delaying carbohydrate digestion, resulting in reduced postprandial glucose. The aim of this study was to evaluate the phytochemical analysis and the inhibitory effect of various cinnamon bark species against intestinal α-glucosidase and pancreatic α-amylase. The results showed that the content of total phenolic, flavonoid, and condensed tannin ranged from 0.17 to 0.21 g gallic acid equivalent/g extract, from 48.85 to 65.52 mg quercetin equivalent/g extract, and from 0.12 to 0.15 g catechin equivalent/g extract, respectively. The HPLC fingerprints of each cinnamon species were established. Among cinnamon species, Thai cinnamon extract was the most potent inhibitor against the intestinal maltase with the IC50 values of 0.58 ± 0.01 mg/ml. The findings also showed that Ceylon cinnamon was the most effective intestinal sucrase and pancreatic α-amylase inhibitor with the IC50 values of 0.42 ± 0.02 and 1.23 ± 0.02 mg/ml, respectively. In addition, cinnamon extracts produced additive inhibition against intestinal α-glucosidase and pancreatic α-amylase when combined with acarbose. These results suggest that cinnamon bark extracts may be potentially useful for the control of postprandial glucose in diabetic patients through inhibition of intestinal α-glucosidase and pancreatic α-amylase. This research was financially supported by Faculty of Allied Health Sciences, Chulalongkorn University and Research Projects for Undergraduate Students (RPUS) by The Thailand Research Fund (TRF). 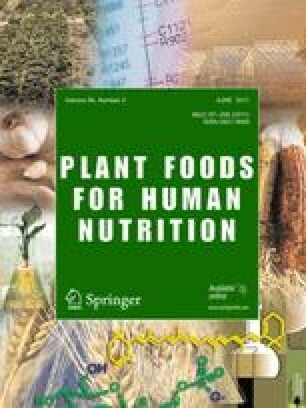 The author gratefully acknowledges The Medical Food Research and Development Center and Research Group of Herbal Medicine for Prevention and Therapeutic of Metabolic diseases which have been financially and institutionally supported by Chulalongkorn University.